In which business Sector do you operate? What is the profile of your ideal client? What business services could you offer IIBN members? 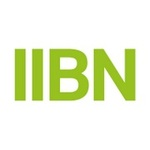 What business services could you require from IIBN members occasionally/regularly? Tell us something interesting or unusual about yourself. Hi Finbarr - welcome to IIBN. Just shout if we can do anything to help you.